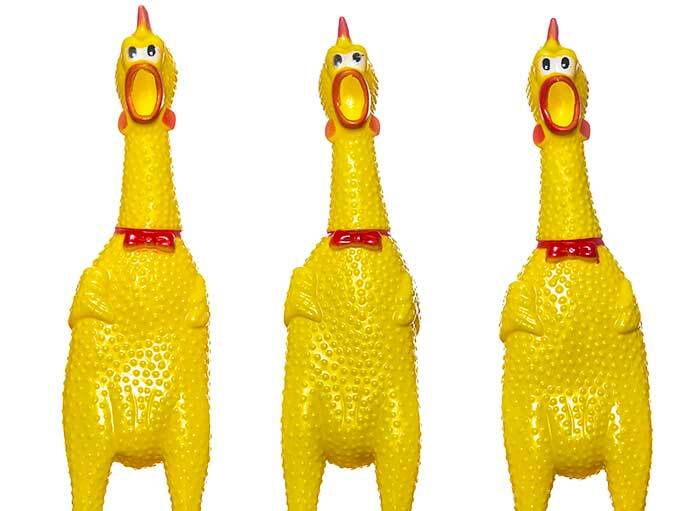 My daughter gave me 3 rubber chickens for Christmas. She took a page out of my book and individually gift-wrapped each one in a box inside a larger box put inside an even larger box. (I've put a wrapped gift inside only one larger box.) I had a hint she was going to do something, so I upped my game. When she unwrapped her "special" gift, she found a note. It said, "Your gift is hidden somewhere in the house." Gift-giving is a sport in my home.